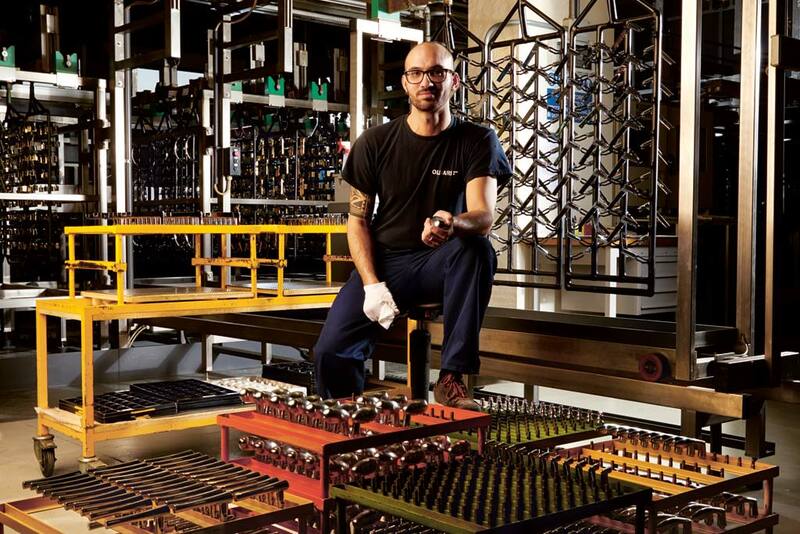 A distinctive feature at Olivari is the fact that the entire manufacturing process takes place exclusively at the Olivari factory in Borgomanero, northwest of Milan. Olivari products are not just Made in Italy, they are Made in Borgomanero, Made in Olivari. for all the Olivari products. Made only in brass, Olivari products go through a precise sequence of phases: hot forging and shearing, mechanical processing, grinding, vibratory finishing, polishing, galvanic deposition, physical vapour deposition (PVD) and laser marking. In addition, all the technical components made in resin, brass sheet and steel sheet are forged and assembled in the same factory. 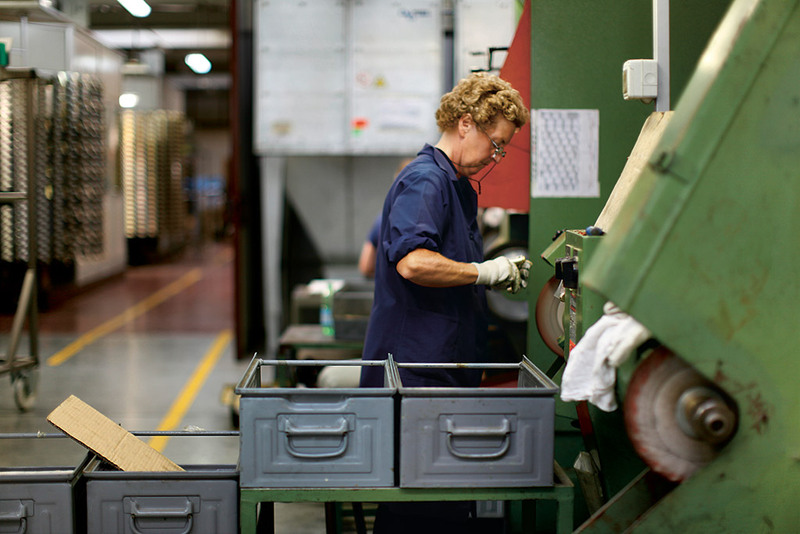 Every phase of the production cycle is meticulously controlled to guarantee constant quality over time. Customized, sophisticated resource-planning software is used for all production phases, ensuring a rapid response to the needs of every single client. Olivari has adopted the criteria of the International Organization for Standardization for quality management principles. Olivari has the certifications ISO 9001 for the management of the design phases, and ISO 14000 for environmental management, proving its commitment to offering quality products in full respect for employees, the environment and the local territory. ISO 9001 Certified N°0929/6. Olivari has implemented a quality management system that attained UNI EN ISO 9001 certification no. 0929/06. All its handles are manufactured entirely within the company. 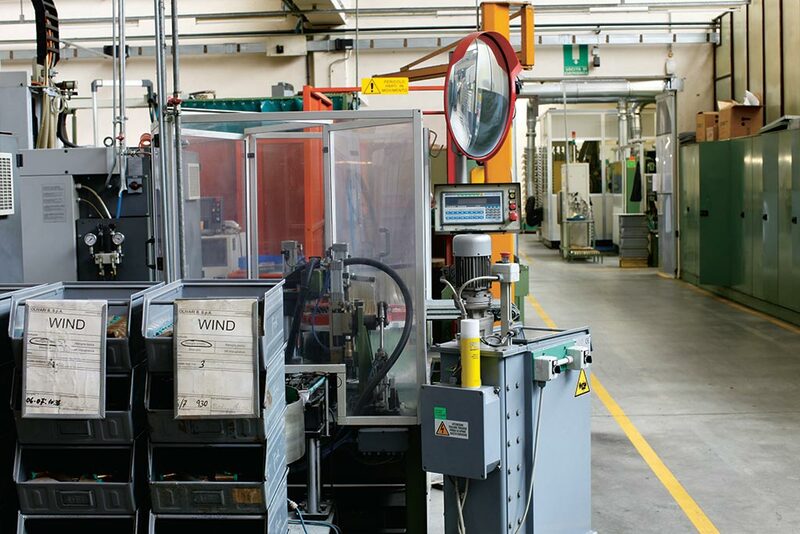 Each manufacturing phase is directly controlled in Olivari’s Borgomanero (NO) Italy plant. ISO 14001 certified N°0380A/3. Olivari has obtained UNI EN ISO 14001 Certificate no. 0308A/3. This acknowledges that the company’s environmental management not only complies with all regulations, but that the entire manufacturing process is continuously monitored to avoid any kind of pollution. Fire resistance and smoke control EN 1634-2. Olivari has obtained from the LA.P.I. laboratory the certificate of fire resistance corresponding to the European norm EN 1634-2 (2008) – resistance superior to 60 minutes. This means that the Olivari handles of this type can substitute those present on doors that meet the European norm 1634-1 and those with certified fire resistance REI 60, maintaining the validity of these doors’ obtained certification. 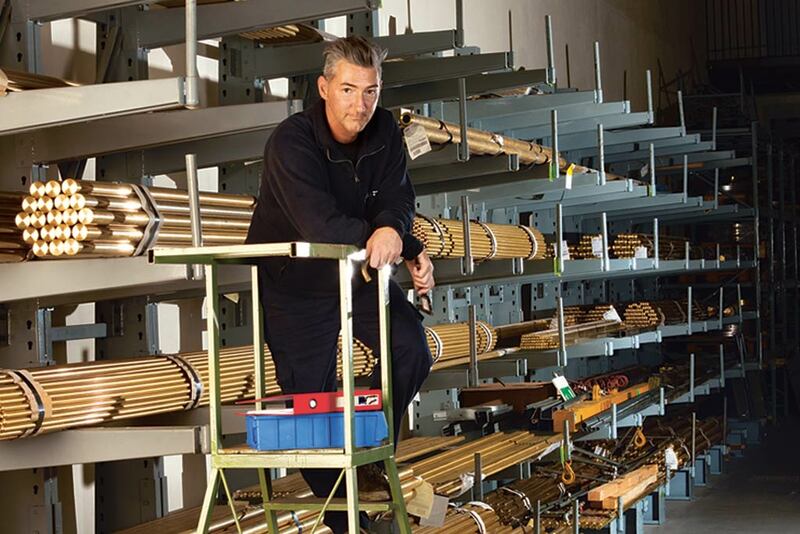 Olivari uses only titrated and certified brass, an alloy made of copper and zinc. The shapes are obtained by hot forging and mechanical processing with swarf removal. 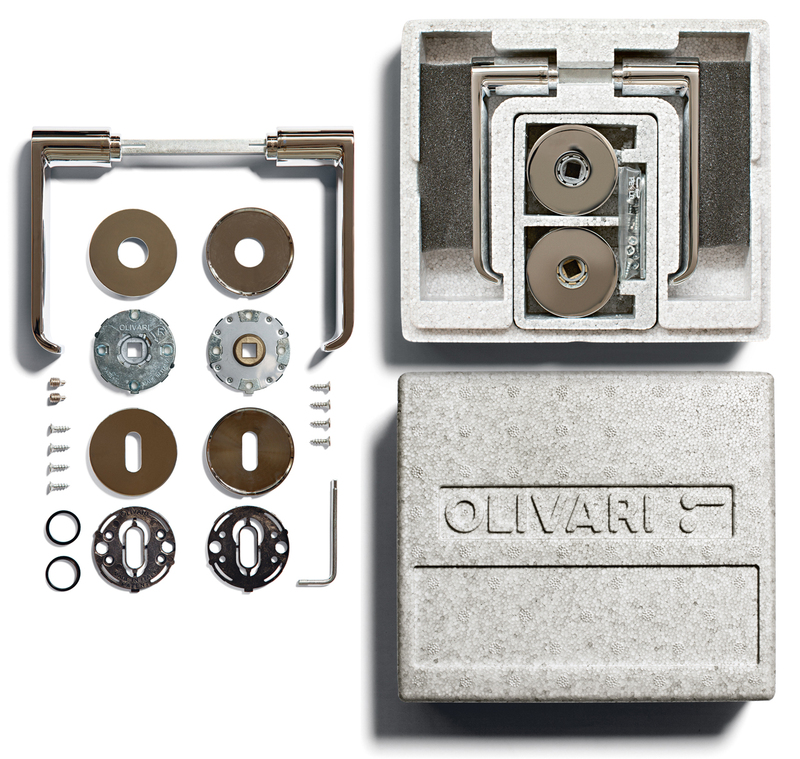 These specific technologies allow Olivari to obtain products devoid of porosity and inclusions. This guarantees superior mechanical resistance. 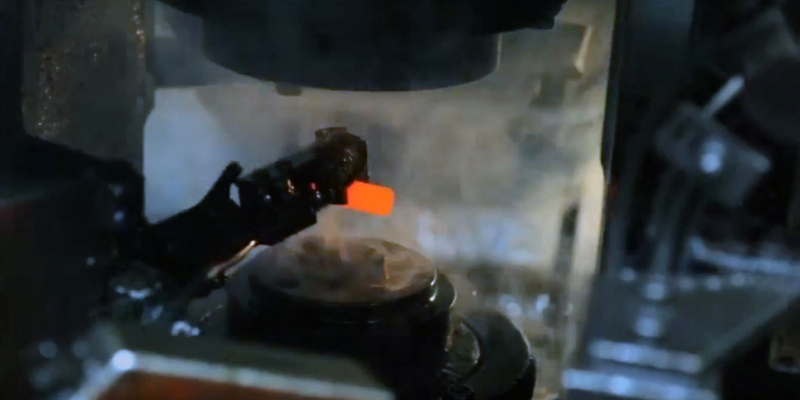 With these apposite measures, Olivari obtains the optimum conditions of preparation for the metal depositions of chromium plating and physical vapour deposition coatings under high vacuum. The galvanisation process of applying metallic coats of nickel and chrome makes the product abrasion-resistant and corrosion-resistant. The automated, programmable galvanising plant guarantees high productivity and constant quality in full respect of the most recent legal regulations concerning quality, safety and environment. Olivari’s chemical and physics laboratory is constantly upgraded and updated with the best technology in order to always maintain the parameters of production within high quality standards. Olivari’s chromed products offer corrosion protection for over 1,000 hours of exposure to salt spray, and possess surface hardness equal to 800 micro Vickers. If used in accordance with the instructions and maintenance guidelines, Olivari Chrome Finishing has a 10-year guarantee. Vacuum metallisation (PVD) is an extremely high-technology treatment habitually employed for the tools used in high-velocity steel machining. It is applied to products that have already been chromed, in order to obtain maximum resistance to wear and tear. In fact, PVD increases the surface hardness to three times that of chromium plating. Since 2004 Olivari has been using this technology, which has the additional benefit of offering metallic colours that cannot be produced with traditional galvanisation. PVD coating has exceptional performance in stability and longevity of the colour, making the products last and last. If used in accordance with the instructions and maintenance guidelines, Olivari Superfinishing in Gold, Nickel and Stainless Steel have a 30-year guarantee. Superfinishing in Anthracite, Copper and Bronze have a 10-year guarantee.